pink pepper berry, frankincense, cumin, cardamom, saffron, mace essence, nutmeg, myrtle, geranium, myrrh, oud, sandalwood, patchouli, leather, cedarwood, musk. Epic Man, 100 ml bottle. Source: Twisted Lily. Epic has been around for six years at this point and many of you are very familiar with it, which is why I’m stating right at the top of the review that I strongly believe it’s been neutered through poor reformulation into a shadow of both its intended target and its former self. It’s not only because I’ve read reformulation comments elsewhere, but primarily because of what appears on my skin. It is a far cry from what I expected, lacking both its powerhouse reputation and the bold, intense, genuinely epic nature of Epic Woman. More importantly, its main notes on my skin don’t comport with the overwhelming majority of votes on Fragrantica. The notes that it does emit are not very high on everyone else’s list. My sample was purchased last year, and something is definitely not as it should be for a scent that is intended to be “epic.” The women’s version was — at least back when I reviewed it — and most definitely evoked China for me, but the men’s version is quite a different kettle of fish. Epic Man opens on my skin with aromatic, fresh myrtle and green geranium, splattered with crisp, bergamot-like citruses. A quiet sweetness follows, smelling like spicy patchouli dusted with warm saffron and just a whisper of pink pepper berries. On my skin, the latter usually manifest with the syrupy gooeyiness similar to fruitchouli, but not here. They’re merely drops of slightly sweet fruitiness. The whole spicy, aromatic, sweet bouquet is wrapped up with thin ribbons of synthetic incense and even thinner strands of oud, both of which weave in and out from the outlying edges. Within minutes, Epic changes. A lovely veil of nutmeg descends, accompanied by aromatic cedar and the tiniest pinch of cumin. They overtake the piquant geranium, while the citrusy tonality is replaced by a caramel nuance that resembles labdanum amber. To my surprise, the incense fades rapidly as well, leaving a bouquet that is primarily spices, woodiness, and warmth. A subtle, though extremely muted, dustiness lurks in the far background. It’s a nod to the Epic Woman’s powerful chorus of dusty wood, but it’s only one-tenth as prominent here as it was it in its sister scent. Amouage’s Man and Woman pairings are never identical scents, and rarely simply a heightening of certain shared notes, but they are often connected by an olfactory theme, a vein that runs through both scents that makes them a logical duet. Epic Woman is a divaesque blend of multi-faceted woodiness and spiciness with almost operatic incense. 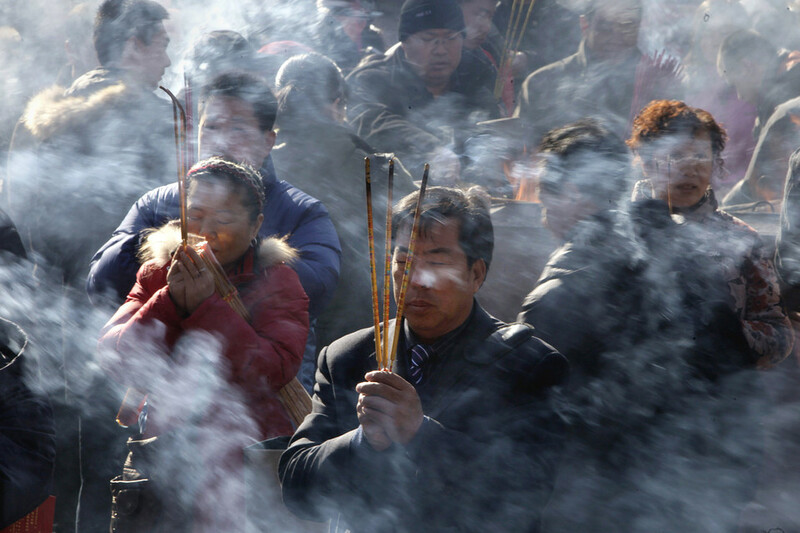 Far before I knew of the Turandot connection, it made me think of the dusty, ancient wooden rooms that I’d seen in the Forbidden City and the Summer Palace, as well as the courtyards filled with a literal fog of incense at the Lama Temple on Buddha’s birthday. 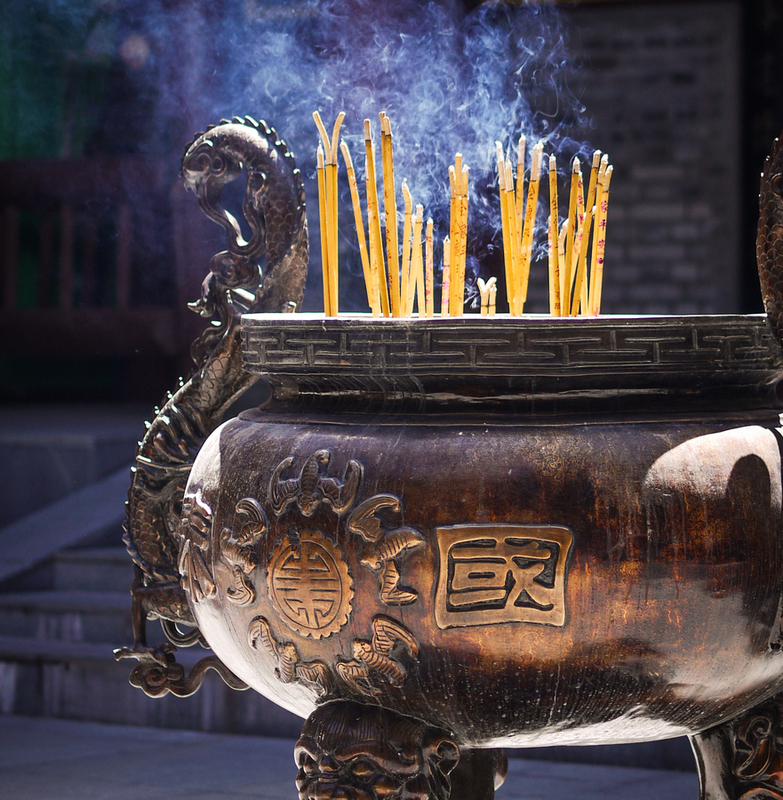 The scent had massive, walloping amounts of guaiac wood laced with oud, then blanketed with what felt like half the Silk Road’s treasury of spices and every Beijing temple’s stock of incense. I see little similarity to Epic Man. There is almost no oud whatsoever on my skin, even though 239 people on Fragrantica chose it as the primary note. The incense is initially minuscule and, while it does play a big role later on, it’s only a shadow of what occurs in Epic Woman. What little pink pepper berries there are quickly vanish. It is the third most prominent note chosen by everyone else, whereas Epic Man’s main olfactory chord on my skin later on — sandalwood — is actually 13th on everyone’s list. There is another important difference that we will get to in a moment, one of the main reasons why I suspect reformulation, but, for now, let’s just say that Epic Man is barely evocative of the Silk Road and doesn’t feel like a companion piece to Epic Woman. 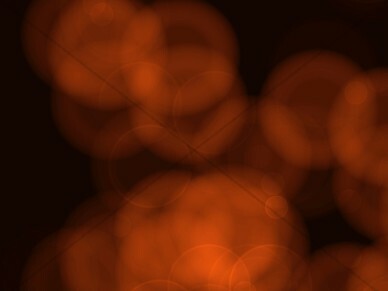 It is significantly warmer, sweeter, less dry, and more rounded in nature. As a whole, everything feels mild, tame, and soft, though it’s a thoroughly enjoyable spicy-woody scent. In many ways, it feels easier to wear than Epic Woman. It’s not solely because it lacks the pickle note that the guaiac created on my skin, or because it’s a simpler, gentler scent. It’s primarily because Epic Man resembles a commercial, designer fragrance. To be precise, it reminded me of Dolce & Gabbana‘s The One For Men. I no longer have my bottle to do a comparison side-by-side to see what differences there may be beyond the lack of ginger and tobacco, but The One came to mind every time I tested the Amouage. They’re not brothers, but they feel like cousins for the entire first 2 hours of Epic’s development. The two fragrances split off and diverge after that, primarily because Epic turns drier, very smoky, and less sweet, but the early resemblance surprised me. I have not seen anyone else remark on such a thing, which is why I think Epic Man once smelled very different. The “Alpha Male” scent that everyone else describes; the powerhouse with an overwhelming focus on strong oud, and so much frankincense that some people found it difficult to wear or unbalanced; the streaks of castoreum animalics and leather that a few people noted in hefty quantities right from the start; and the “epic” character with massive projection… not on my skin. Not now. Now, Epic Man calls to mind a non-gingered cousin to The One for the first two hours, and then becomes a hazy, almost generic blur of spicy woods with incense, creaminess, and warmth for the rest of its lifespan. Surely that can’t be right?! Kinship to D&G’s The One and soft projection notwithstanding, I really like Epic Man in its early and late stages. It’s easy and enjoyable. Usually, Amouage’s women scents are sweeter, warmer, and spicier on my skin, while the parallel men’s version is typically exceedingly dry, often louder and smokier, and drenched with oud or wormwood. It’s the reverse here. The choice to eliminate the guaiac seems to have been pared with a reduction in the incense (at least in the current formulation), and a more moderate use of spices than that used in Epic Woman. The cumin and cardamom are practically nonexistent on my skin; the nutmeg is never bitter; the mace isn’t pungent; and the saffron is nicely balanced. Really, it shines in Epic Man in the best way possible. It’s never buttery, gooey, foody, or even fiery as it is in some fragrances, including several scents and many attars from Amouage itself. It lacks the screechy quality of Safraleine or, at least, Safraleine used with a heavy hand. Instead, it’s simply a gentle, semi-sweetened, spicy warmth that serves as a bridge between the woodiness and the more nebulous, indistinct blur of other spices. In fact, I confess I have great difficulty separating many of Epic’s elements a mere 20 minutes into the perfume’s development because they all merge into 3 basic camps. There is: spiciness (dominated by saffron); woodiness (that is strongly laced with brown, woody, spicy patchouli); and slightly sweetened warmth. The patchouli is frequently without shape in the first hour, lacking any individual clarity and delineation, but what is most diffused is the incense. It feels fully merged into the general woodiness for all of Epic’s first stage, occasionally popping up on the sidelines to wave hello before sinking back into the overall shapelessness. The oud is virtually imperceptible on my skin, while the early aromatics like the myrtle seem swallowed up by all the rest. For the most part, Epic is primarily a spicy woody scent with some sweetness and warmth, and feels merely like a higher quality version of a mainstream designer oriental. Still, despite its tame, unremarkable character, Epic is polished and enjoyable. I’d wear it myself were it not for a synthetic quality that bothered me right from the start and that become quite prominent later on. I can’t pinpoint the exact source, but I suspect it’s the frankincense. It might stem from the oud which is most definitely a Westernized version instead of true Middle Eastern agarwood, but the wood is so imperceptible on my skin, it might as well not exist, while the incense had a dodgy quality at the outset. Epic shifts fractionally at the end of the first hour and the start of the second. The spicy, woody patchouli surges back, regaining its individual clarity and shape, and dominating Epic’s focus. In the base, a quiet creaminess begins to stir, smelling like generic sandalwood or lightly spiced, white wood. It soon seeps upwards, intertwining with the other notes, and turning Epic into a triptych of spices, spicy woods, and spicy patchouli, all laced with creamy softness. The incense makes a return as well, though it is fully mixed into everything else, and continues to have a synthetic sharpness. The saffron is melted into the mix, while the patchouli is smooth, refined, lightly wooded, slightly smoky, semi-sweetened, and golden. There is nothing earthy, musty, dusty, green, or camphorous about it at all. For the most part, this is Epic’s core scent and one which continues with only a slight break until it’s very end. The break occurs at the end of the 2nd hour and the start of the third when the incense surges onto center stage, shifting the balance of notes, and turning Epic drier in nature. It cuts through some of the sandalwood’s creaminess and much of the scent’s quiet sweetness. 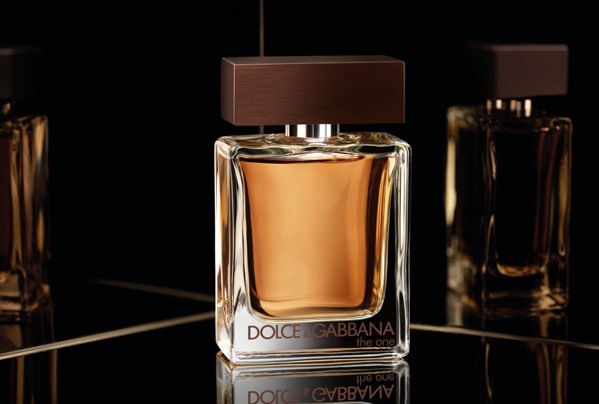 It also ends the resemblance to D&G’s The One. Yet, ultimately, this is only a shift in the equation, not a wholesale change in Epic’s focus. It is still a creamy, woody fragrance, but it is also a strongly smoky one now, too, and only has the lightest dusting of spices. Basically, the spices and incense have changed places in terms of their significance. The incense does not feel as smooth as it is in other Amouage scents, but has a sharp, synthetic quality that I don’t enjoy. Another noticeable change is that Epic feels almost thin on my skin. While the sandalwood has deepened the scent to a small degree, it’s generally not full-bodied or particularly rich, but wispy and soft. Epic’s strong smokiness only lasts about 2 hours, and then the fragrance returns to its core bouquet at the end of the 5th hour. It is essentially a recreation of the facets of Mysore sandalwood: creamy sandalwood laced with smokiness, spiciness, and soft warmth. There is nothing else, and the scent eventually fades away in much the same way a little over 9.5 hours from its start. As noted earlier, Epic had become a skin scent after 3.5 hours. On Fragrantica, Epic generally receives very positive reviews. However, some recent 2015 comments mention not only weak projection, but changes to its character. One poster notes very little oud in the reformulation, leaving mostly spices and incense, while another says Epic was once his “favorite in the Amouage lineup, but after the reformulation sadly it is not at all the same.” He does not specify how it has changed. A third commentator thinks the reformulation replaced a “jarring” sandalwood focus with a heavy oud base, but since the original Epic was reportedly dominated by oud above all else, I’m not sure how accurate his perception may be. A fourth poster states that he detects “absolutely no difference in smell between the old and the new versions,” only changes in sillage and longevity. I never tried the original 2009 Epic, so I can’t comment on the specific ways that it may have changed, but I think you should be aware that some sort of reformulation has taken place. While I found the current version of Epic to be very enjoyable at the start, its largely mainstream/designer profile, the rapid blurriness of the notes, the prominent synthetic qualities later on, and the sharpness of the frankincense mean it is not a scent that I would purchase for myself. However, I think it is absolutely worth testing if you love spices, incense, spicy patchouli, sandalwood, and woody orientals. I think a lot of people would find it enjoyable, easy to wear, versatile, and unisex. In my opinion, and for me, the current Epic — a spicier, smokier, non-gingered cousin to The One — is not worth its expensive retail price, but I’ve found the fragrance offered at huge discounts on sites that ship worldwide. Epic Man costs for $250, €195 or £160 for a small 50 ml bottle, but there is one reputable discount retailer (that I’ve used myself in the past) that sells the large 100 ml bottle for as low as $155.99 in a sealed box, or for $149.24 unboxed. (See, the Details section at the very end.) Either way, it’s a good deal for someone who is keen on the scent. So, if you love woody, spicy, smoky orientals or sandalwood, give Epic Man a sniff for yourself. Cost, Discounted Prices & Travel Sets: Epic Man in an eau de parfum that comes in two sizes: a 50 ml bottle that retails for $250, €195 or £160; or a 100 ml one for $300, €195, or £190. You can buy it directly from Amouage’s website, but please note that shipping is from England. You will have to change the “Location” at the top to match your area and currency. Amouage also offers a Men’s Travel Set of 3 x 10ml bottles for $110, €90, or £100. Discount retailers offer a better bargain. On FragranceNet, the discount code offered right on the page makes the large 100 ml bottle $155.99 with a box, or $149.24 unboxed. There is free domestic shipping on all orders. It’s a very reliable site that I’ve used myself, as have my friends. It also has many international sub-sites. You can find the one for your country by changing the currency box at the top of the page. Thus, the Canadian cost for the unboxed 100 ml Epic is around CAD$181, the Euro price is about €132, the UK price would be £102, and so on. The sealed box only costs a little bit more. They have similar pricing options for countries ranging from Brazil to South Africa, a few Scandinavian ones, and more. Epic is also on sale at BeautySpin which sells the 100 ml bottle for $154.43 with the discount code. In the Middle East, Kuwait’s Universal Fragrances sells a sealed 100 ml boxed bottle of Epic for $239.99. Regular Retailers in the U.S.: OsswaldNYC, Luckyscent, Twisted Lily and Parfums Raffy (an authorized Amouage dealer) carry Epic in both sizes and sell samples. The 100 ml size of Epic can also be purchased at MinNY. Finally, Parfums Raffy and Parfum1 sell a Twelve Sample Set of Men’s Amouage fragrances in 2 ml vials for $100. Regular Retailers outside the US: Canada’s The Perfume Shoppe has the 100 ml bottle of Epic Man. In the UK, Les Senteurs has both sizes and sells samples. If you don’t want to go the discounted route with FragranceNet, then you can order Epic from Germany’s First in Fragrance. As a whole, Amouage fragrances are available at: Harrods, Selfridges, Essenza Nobile, Paris’ Jovoy, France’s Premiere Avenue, Italy’s Sacre Cuore, Australia’s Peony, and Libertine, and the UAE’s Paris Gallery. For other countries, Amouage’s Stockist page will help you find the perfume somewhere close to you. Samples: Surrender to Chance sells Epic starting at $3.99 for a 1/2 ml vial. There is also a Sampler Set for 9 Amouage men’s fragrances which starts at $34.99 for 1/2 ml vials. 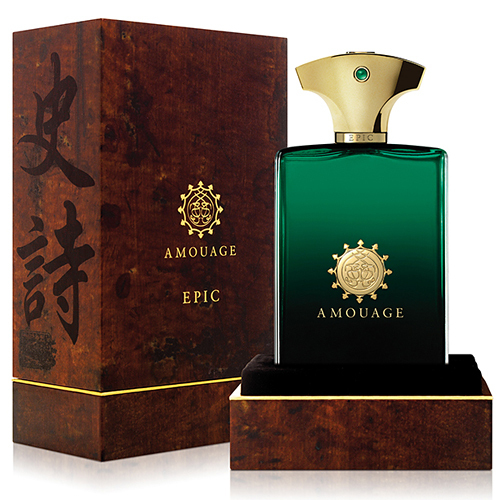 This entry was posted in Amouage, Orientals, Perfume Review and tagged Amouage, Amouage Epic, Amouage Epic fragrance review, Amouage perfume review, D&G's The One, Epic for Men, Epic Man, perfume review by Kafkaesque. Bookmark the permalink. You are right, Kafka, the reformulation unfortunately was done so poorly; Epic Man is now a shadow of its former glorious self. Not just watered down but…messed up. Like it was done blindly, or heavy handed. Based on the way the vast, VAST majority of people almost uniformly describe the original, the reformulation seems to have been really badly done indeed. I was quite astonished at what was wafting off my skin, especially as I had expected an even spicier, smokier version of Epic Woman. Kafka, I use FragranceNet but I don’t think even discounted Epic Man would tempt me. I still think it’s worth testing, Don, because parts of it are quite enjoyable. Who knows, perhaps it will be an ideal cozy scent, even if it is not the epic oud-incense powerhouse that it once was. P.S. Was it Fate Woman you suggested I should try? I know it was an Amouage Woman. Yes, Fate Woman but also Epic Woman, due to the roses and your love for that note. Interesting to read your review, Kafa. I can’t remember whether I tried Epic Man when it came out or not, but my guess is that I didn’t (I don’t usually care for the masculine versions of the Amouage perfumes). And after reading this, I’m sort of panicking in regard to the other Epic (Epic Woman), hoping that they haven’t reformulated it. I have a feeling that I’m going to use my bottle up this year and that’s why you’ve got me wondering … if I reorder, will it have significantly changed the way it sounds like the men’s version has changed? God, I hope not, as it’s become my favorite Amouage. My honest opinion is that all the long-standing Amouages have been reformulated by now. Luckyscent announced 3 flat out just 6 months ago; I can’t remember what they are but I think Gold was one of them. 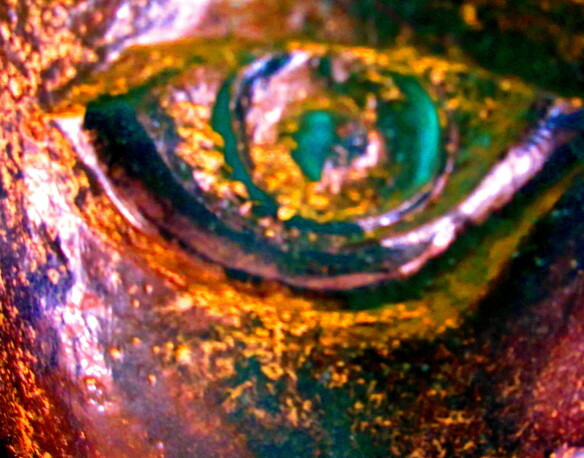 Gold Man, I think. I know by now that Lyric Woman has been reformulated because I’m suddenly seeing more comments (both on my review and elsewhere) saying that the fragrance has lost its heavy rose profile, and people are experiencing a ton of ylang-ylang or citrus, but barely any rose. Jubilation 25 for women is another one that I hear mentioned a lot, that one understandably so because of the oakmoss issue. On Fragrantica, there is a thread that talks about Amouage reformulations, though it seems to be about the women’s line more than the men’s one: http://www.fragrantica.com/board/viewtopic.php?id=95846&p=2 You will see Epic Woman mentioned, and someone (“SweetnSpicy”) said “It smelled like an entirely differnt perfume!” She experienced the same pickle that I did with her recent sample, but seemingly never did before. What I hear more and more is people saying that the bottles with a magnetic cap (which are the newer bottles/packaging) have either a different scent or weakened, diluted strength as compared to the old Amouage fragrances without the magnetized cap. If you’re running out of Epic Woman, you may want to start looking on eBay for the older bottles, asking the seller what sort of cap they have. Thank you, K. This is disappointing news to hear, but your solution is helpful. I didn’t even realize Amouage had changed their bottles to have magnetic caps, so I will be aware of that when looking on Ebay. This interesting post makes me think about why I have only tried one Amouage. I was disappointed in both versions of Jubilation, and when I tried them, “everyone” was all aflutter about how stupendous they were (or one of them – in all honesty, I can’t remember exactly). In the huge world of perfume, especially when the prices are so high, I have to pick my battles, so to speak, so I simply stopped paying much attention to this house. ‘Tis sad, though, that they’ve reformulated something that was so good (sounds like I would have loved the original!). . .it’s disheartening when one learns yet another company lets quality slip away and allows reputation to overshadow reality. I always wonder about the olfactory equivalent of the placebo effect when it comes to frags with such huge reputations. I think Amouage is definitely a house worth exploring, Julie, beyond just the two Jubilations. Yes, Amouage retail prices are high, but not as high as SHL 777 for example and they’re actually quite reasonable when you buy from discount retailers. You can easily find a number of Amouages for about $160 for 100 ml there, so don’t let the official/retail pricing put you off. $160 for 100 ml is cheaper than some Parfumerie Generale and Serge Lutens, definitely cheaper than Kilian, Profumum, Roja Dove, or even Slumberhouse (if we’re going by bottle size). For someone like you who enjoys incense, tobacco, woodiness and spices, it’s not a house to be written off. Plus, imo, they are SOOOOO much more worth it than, say, Kilian. A good number of Amouage scents have character, boldness, intensity and distinctiveness, at least in their original, unreformulated version. With your tastes, I think the Men’s side might be far more enjoyable than the Women’s. A lot of women actually go that way. I would never have suggested the two Jubilations as a first introduction to the house for someone like you. The original Lyric and Epic Woman might have been a much better starting point because of your love for roses, but Lyric seems to have been stripped of its heavy rose-centric focus these days. I think you’d enjoy Interlude Man because of the herbs and spices, as well as its massive shape-shifting qualities. Fate Man has wormwood/absinthe with lots of immortelle, but I’m a little dubious as to your reaction to that one. It wasn’t for me personally. Anyway, I think you should try samples of a few of the Men’s line. Again, with the huge discounts offered online by reputable sites, Amouage is quite manageable, so don’t write off the entire line before you’ve explored more than just Jubilation. I truly think a few might surprise you in a very positive way. Dearest Kafka, For someone who had not encountered the original Epic Man, this emasculated version is not half bad! For someone like you, I think you’d quite enjoy the current version. I think you’d basically find it to be a cozy scent, so you should try it next time you’re in Osswald. Unless you’ve already tried it, of course. My apologies, but it wasn’t clear to me from your remark if you were speaking from experience when saying the emasculated version was not half bad. Based on your description, it’s not half bad. I’m going to Sniffapalooza Day 1 so I should be able to give this a sniff at Bergdorfs. Also meant to thank you for your tip about the magnetic caps being a clue as to the reformulated version. I’ve been eyeing Jubilation XXV and it would be a sad state of affairs if it got reformulated to a shadow of its former self. According to some reports, it already has been. I like Epic Man and I never thought of The One connection, but I totally agree that there are some similarities! But I also agree it’s not particularly “Epic” — the women’s version sounds more interesting to be sure. I like Epic Man for things like work for the reasons you mentioned, sort of a generically refined, inoffensive quality without (at least to me) smelling completely boring/pedestrian. Not that it’s so innovative, but it’s not that calone/ocean breeze/laundry smell that is really prevalent and, IMO, nauseating. I had no idea it had been reformulated – I may have to investigate and see when my bottle is from, though I suspect it was after reformulation. Definitely sounds like you have the reformulated, diluted version! Hi, I have purchased the Epic two times during the last 12 months (from the Beautyspin) and it seems to me like you were reviewing a completely different fragrance. My experience was always great – I can feel the extreme performance, sillage, and the dominant oud note. For me this is one of the best men’s fragrances out there. Glad your bottles worked out for you.